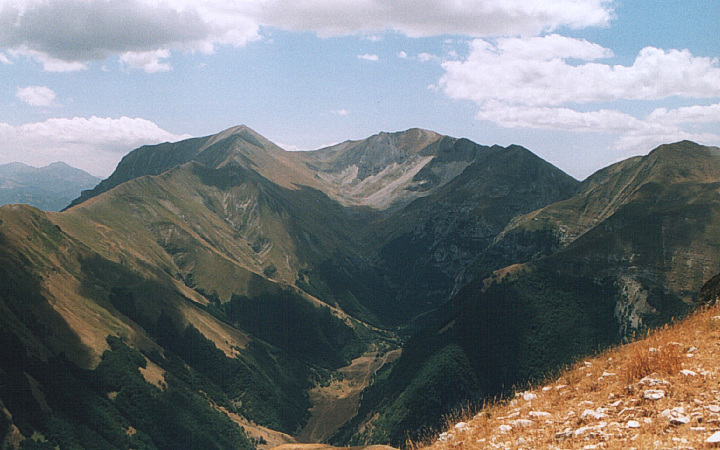 Monte Vettore (2476 m) is the highest peak of the Sibillini Mountains in Umbrian Apennines (Italy). The area, part of a protected National Park, is best known for Mount Sibilla with the cave-dwelling of Sibilla Cumana, one of the 30 or so known Sibillas. vedi l'album dedicato ai Monti Sibillini. Parco Nazionale dei Monti Sibillini, Italy. August 2007.